In Summer of 2015, Greg Taylor sat down with Data Scientist Scott Yacko to discuss all things Google Analytics. 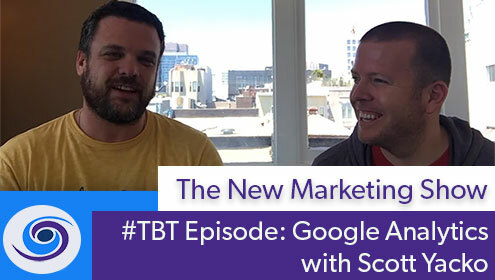 Although this #TBT Podcast takes place in San Francisco in the Summer of 2015, the principles of Google Analytics of Website Data remains much of the same. Measure goals, measure conversion, and measure all things that matter. Measure. Measure. Measure. 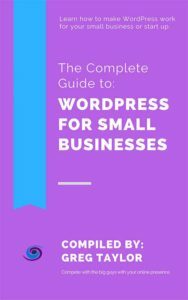 This podcast has mentioned and discussed Vanity Metrics at length. Scott’s unique insight allows you to truly understand what matters to the health of your business and how to measure what really matter. Check it out. 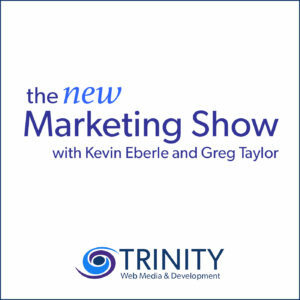 Stay tuned for more #TBT Podcast episodes of The New Marketing Show as part of our regular broadcasts. Thank you for listening, rating and reviewing on The New Marketing Show on iTunes and wherever else you consume your podcast content.